To study the association between a stone’s struvite content and clinical outcomes and to determine a clinically significant cutoff for defining struvite stones. This was a retrospective study of all patients who underwent ureteroscopy or PCNL at our institution between 2012 and 2017 and had any component of struvite in the stone analysis. Patients were divided into four groups based on percent struvite content: A (1–25%), B (26–50%), C (51–75%), and D (76–100%). Bacterial characteristics were compared between groups. Univariate and multivariate analyses were performed to evaluate the association between struvite content and postoperative SIRS. Log-rank test was used to compare between the four groups’ recurrence rates. A total of 123 patients were included in the study. Positive preoperative urine culture was found in 31%, 81%, 87%, and 90% of patients from group A, B, C, and D, respectively. E. Coli was the most common pathogen in group A (54%), while Proteus was the most common pathogen in groups C (53%) and D (47%). Enterococci isolation rates remained similar between groups A-D, ranging from 23 to 33%. Postoperative SIRS occurred in 2.4%, 21.3%, 26.7%and 47.4% of the patients from groups A, B, C, and D, respectively, and was associated with struvite content and age on multivariate analysis. Increasing struvite content was associated with higher 2-year recurrence rate. 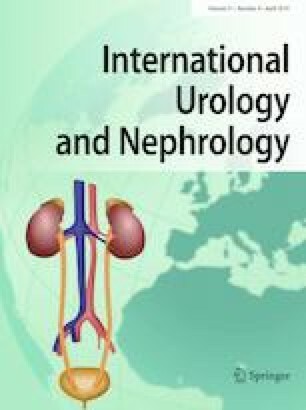 Higher struvite content is associated with a higher frequency of traditional urea splitting bacteria in urine culture, higher risk for postoperative SIRS, and higher recurrence rate. Struvite content greater than 25% can be used to define a clinically significant struvite stone.